Today is the last day to view Well-Worn Narratives: The Mia McEldowney Jewelry Collection at Tacoma Art Museum. Marcia MacDonald (American, born 1958), Title Unknown, Date unknown. 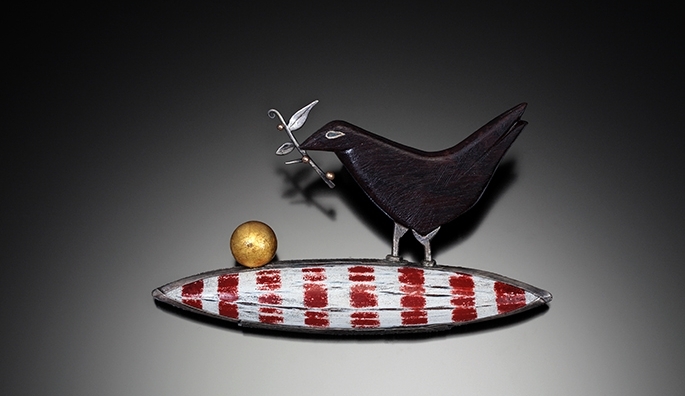 Sterling silver, bronze, painted wood and gold, 2 × 3 inches. Tacoma Art Museum, Bequest of the Estate of Mia McEldowney, 2014.19.33. Photo by Doug Yaple.